The iPhone 5C was released on September 20, 2013, together with the more illustrious iPhone 5S which, at the time, was the new iPhone flagship model. Upon release of the iPhone 5C and 5S, the iPhone 5 was immediately discontinued. This was the first time Apple had decided not to sell previous iPhone models at a lower price alongside the latest generation. The idea behind this move was to increase the demand for the two newer models, and of course, maximize company profits. Did you know that unlocking an iPhone 5C is perfectly legal? 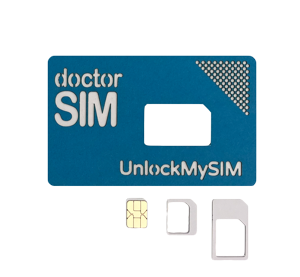 If you are looking to unlock an iPhone 5C locked to one network, doctorSIM can help you with that. Scroll up the page to complete the request form with the information we need to process your unlocking. Once we have connected to the Apple server to unlock your iPhone, we will send you an email explaining how to complete the unlocking process. Similar overall to the iPhone 5, the major difference was the iPhone 5C's hard-coated polycarbonate frame instead of the superior-looking aluminum design of the former model. 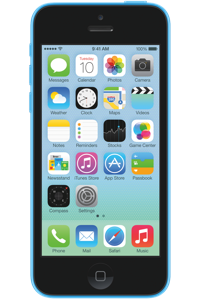 At 132 grams, the iPhone 5C is 20 grams heavier than the iPhone 5. The iPhone 5C came with a 4-inch Retina, multi-touch screen with a resolution of 1136 x 640 pixels and was available in black, white, pink, yellow, blue, and green. The iPhone 5C maintained the 8-megapixel rear camera, but with a different camera assembly, and the camera installed on the front has a lower resolution at 1.2 megapixels. The non-removable rechargeable lithium-ion battery with a charge capacity of 1510mAh was only a slight improvement upon iPhone 5's 1440mAh battery. This would give users almost 10 hours of talk time and internet use, and up to 250 hours of standby time. Unlocking your iPhone 5C with doctorSIM is as simple as 1-2-3 and won't void the warranty or damage it in any way. Unlocking iPhone 5C with doctorSIM is rated 4.8 out of 5 based on 57 reviews .